Martin Roy Hill spent more than 20 years as a staff reporter and editor for newspapers and magazines before becoming a military analyst, specializing in battlefield medical operations for the Navy. 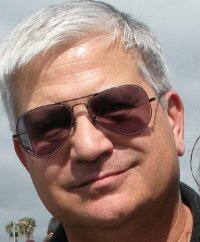 His freelance credits include Reader’s Digest, LIFE, Newsweek, Omni, American History, Coast Guard Magazine, Retired Officer Magazine, the Los Angeles Times Sunday Opinion Section, and many more. Much of his freelance work involves historical topics, especially military history. He was a lead contributor to the 1995 WWII anthology, From Pearl Harbor to Nagasaki: America at War, published by the Retired Officer Association (now called the Military Officer Association). He also writes a blog on politics and history, “Yesterday, Today, Tomorrow,” for Open Salon. His short stories have appeared in such publications as Alfred Hitchcock Mystery Magazine, San Diego Magazine, and San Diego Writer’s Monthly. Here he talks about his novel, The Killing Depths. The Killing Depths involves NCIS agent-afloat Linus Schag, who is sent to investigate the apparent suicide of a crew member on the USS Encinitas, the first American attack sub crewed by both men and women. Schag soon realizes the dead crew member was murdered and that there is a serial killer aboard the Encinitas. By this time, however, the Encinitas is sent on a covert mission against a renegade Iranian sub. Schag has to discover the killer’s identity while the sub crew engages the Iranian in a fight to the death. 2. How much of The Killing Depths is based on real life (either yours or someone you know)? It was inspired by–rather than based on–some real life elements I knew of from my military service. The title came first. I knew I wanted to write a novel featuring Linus Schag, whom I originally created for a short story that was published by Alfred Hitchcock Mystery Magazine and was later reprinted in my short story collection, Duty. I also knew I wanted to base the novel on a submarine, which is sort of the perfect locked-room environment, a la Agatha Christie. But the title, The Killing Depths, came to me before I had a plot developed. The final scene. It’s somewhat poignant, and it brings together one of the lessons of the book…that dealing with leadership. I’ve been working on writing fiction since I was a teenager – and that was quite a while ago. I wrote a lot of short stories, but I think I tackled my first book while I was still a teen. Fortunately, I don’t remember much about it, and there are no copies of it left. 7. Considering a book from the first word you write to the moment you see it on a bookstore shelf, what’s your favorite part of the process? What’s your least favorite? Picking up the first hard copy when it comes from the printers. That’s my favorite part. My least favorite is when I begin to think I’ve lost any talent I have for writing, which just about every time I look at a blank computer screen. 8. What genre have you not yet written but really want to try? I’d like to try historical fiction, like Jeff Shaara. I’ve written an alternative history short story that I’m shopping around, but I’d like to try molding a novel from some real life event like Shaara and his father have done. I just started the audio version of Altered Carbon, by Richard K. Morgan. I like to listen to audio books when I drive. I’m also reading William Shirer’s Rise and Fall of the Third Reich, but it’s a very long read, and I can only stomach the Nazis in small doses. I have another mystery completed called Empty Places, but I’ve set it aside to simmer before I tackle the last draft. So now I’m working on a sci-fi story that involves some American soldiers in Iraq. I meant it to be a short story, but it’s growing, so it may end up as a novella.